Reiki is one of the more common and better known types of energy healing. Since the 1970's it has become very popular and more accessible to everyone. Trained in the Usui method of Reiki, heavily influenced by Diane Stein, I've been doing Reiki since 2004. Now a Reiki Master-Teacher, I enjoy teaching others as well as giving treatments. Reiki is allowing healing energy to flow from my hands and field, into your field and body. It's not my energy you're getting (thank goodness!) but energy from Divine Source. I am like a channel, a conduit for the energy. And your body will take this energy and work with it for your benefit. During the session your body and your own Higher Knowing will use the energy for different things, depending on what it wants to work with at the time. It might want to clear depressive feelings, or heal a place that's not functioning up to par. When I work, I am often working in the field around your body, more than holding a spot directly on your body. Because I've been doing this so long, my High Sense Perception has become very keen and I can assist on many more levels that I could before. There may also be information in your field that will help you understand your situation and heal. Just because the majority of people don't see anything around their body and you can run your hands through the space and not feel anything, don't discredit it. There's a whole lot of layers and important stuff going on there! 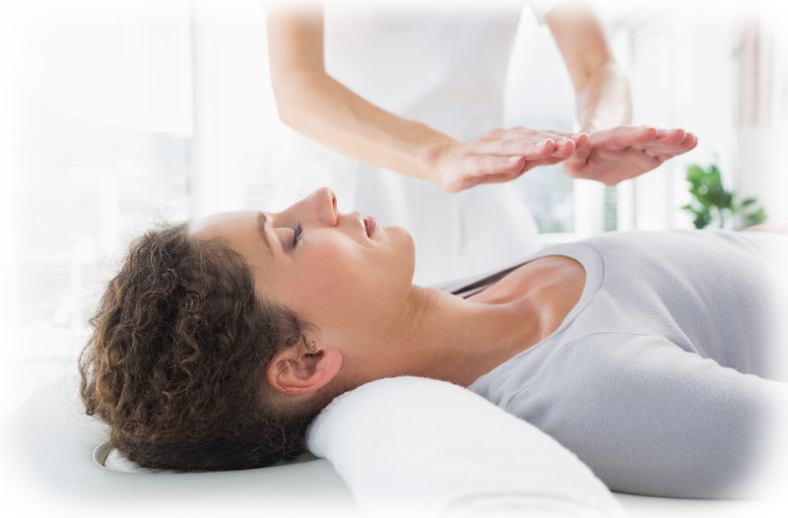 Reiki sessions take an hour, traditionally, but you can also book for 90 minutes and do some real in-depth healing.